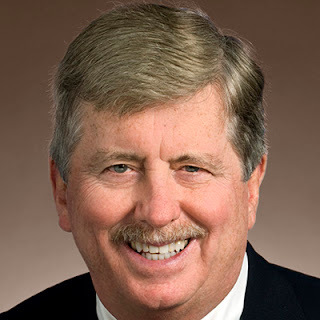 State Sen. Randy McNally, R-Oak Ridge, announced today his intention to become Tennessee's next Speaker of the Senate. The announcement follows Lt. Governor Ron Ramsey’s decision not to seek re-election. McNally plans to spend his summer and fall working with Ramsey to help state Republicans maintain and grow their strong majority in the state Senate, he said. McNally has served in both the House and Senate. He played a key role in helping to uncover political corruption in Tennessee during the Operation Rocky Top investigation. McNally lives in Oak Ridge with Jan, his wife of 48 years. He is the parent of two adult daughters, Melissa and Maggie, three grandchildren and a dog. He has also worked as a hospital pharmacist at Methodist Medical Center. The Knox County Sheriff’s Office has redesigned its patch and badge in honor of the upcoming 225th anniversary of the Knox County Sheriff’s Office, officials announced today. The badge is reminiscent of the ones in the early days. The badges go to the roughly 550 certified and reserve officers. There is no cost for the redesign of the patches. The cost of the patches was taken out of the uniform budget. The Sheriff’s Office is not re-doing the decals on the vehicles. The Sheriff’s Office will be commemorating the 225th anniversary in other ways in the coming months. Knox County Schools on Wednesday released its preliminary proposal for the fiscal year 2017 general fund budget that will go to the Board of Education for review. Superintendent Jim McIntyre is recommending a general school purpose budget of $453,500,000 - an increase of $15,500,000, or 3.54 percent, from the current budget. At its core, the proposed budget includes approximately $12 million for educator salaries and benefits, including a 3 percent salary increase for teachers, maintaining current percentages paid by employees for health insurance, and offering Workers’ Compensation to certified employees for the first time. A 2 percent salary increase for classified employees. Once the BOE approves the plan, it will go to Knox County Mayor Tim Burchett to incorporate into his overall budget for the county. From there it will go to the Knox County Commission for final approval. The international venue management firm the city hired to in an emergency pinch to oversee the daily operations at the Knoxville Civic Auditorium and Coliseum and Chilhowee Park was the only company to submit a proposal to take over the venues full time. The deadline to submit a proposal was late February, and only SMG applied for the job, said city spokesman Jesse Mayshark. At this point, though, details about the bid will remain sealed until the contract is negotiated, he said. But, the existing contract expires at the end of June and officials “would like to get a new one in place by then,” according to Mayshark. Under the plan, the company must keep the venues' 30 or so employees on board for a 60-day period. “We’ve also encouraged (employees) who want to remain city employees to look for positions in the city and a number of them have been able to get positions in the city in other departments,” Mayshark said. Working for the city enables the employees to keep city-provided benefits and pensions. The city hired SMG on an emergency basis last October to oversee the three venues. The company at the time managed the Knoxville Convention Center. The firm prior to October earned $250,000 but that was for only the convention center. The firm did not charge the city for the services under the emergency contract. The emergency contract came less than a month after the city fired thee Coliseum employees and the facility’s general manager retired after officials discovered payroll irregularities. Officials at the time noted that during SMG’s tenure overseeing the convention center, the facility has cut operation costs by $1 million. Officials also suggested that a private firm might be able to use its professional connections to bring in new and more events to the facilities. The Knoxville Convention Center averages 240 events per year and has welcomed more than 3 million visitors since it opened in 2002. The city’s Auditorium and Coliseum featured more than 160 performances last year and brought in almost 250,000 people. Events include Ice Bears hockey games, Disney on Ice, concerts, Knoxville Pops, dance recitals, school productions, STEP shows and professional wrestling. 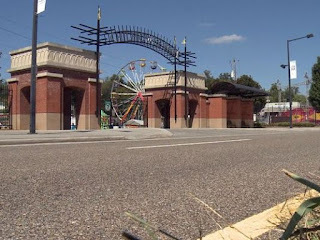 Chilhowee Park receives hundreds of thousands of visitors each year, although the majority of them attend the Tennessee Valley Fair in September. Other events include a variety of animal, antique, gun and car shows, as well as a Remote Area Medical patient care events Xfinity Christmas; and the Eighth of August celebration. The Knox County Audit Committee on Monday voted to replace member Amy Broyles, who has missed a number of meetings because of health-related matters. Broyles, who is also a county commissioner in her final months of her current term, told WBIR 10News by phone that she had planned to step down from the committee. She said upcoming surgery would force her to miss more meetings. The board, in a 4-0 vote, agreed to replace her. Member said they were having trouble getting a quorum during their bi-monthly meetings. The panel, which makes recommendations to the Knox County Commission, is comprised of three commissioners and two county residents. Broyles, whose term on the commission ends at the end of August, did not seek re-election. 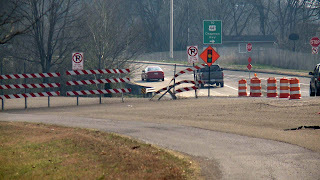 Knox County leaders are looking into whether to create a board that monitors local wrecker services, a move that comes months after a resident says he was charged more than $500 to have his damaged van towed a little under 15 miles. 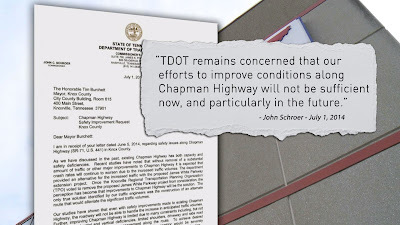 “Some wrecker providers are great citizens – great companies – (but) some are shysters, and if you don’t know what you’re doing it could cost you your vehicle,” said Commissioner Ed Brantley, who is pushing for the discussion with officials. 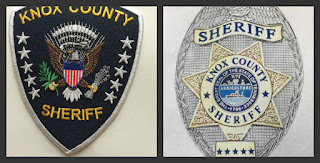 The Knox County Commission during its monthly work session on Monday is expected to talk more about the matter. As it stands, if someone is involved in an accident or their vehicle breaks down in the county, the E-911 Center or the Sheriff’s Office can call a tow truck for them. The Sheriff’s Office maintains a list that officials say probably hasn’t been updated in 25 years. The county does not regulate how much the companies can charge. The city, however, has a number of measures in place. Gov. Bill Haslam says he is concerned about a controversial bill that would let neighborhoods annexed after 1998 vote to leave their cities. The State House approved the deannexation bill Monday night by a vote of 65-24. The Senate could vote on the bill later this week. The growing deannexation debate could ultimately shrink six cities in Tennessee, including Knoxville, Chattanooga, Memphis, Johnson City, Kingsport, and Cornersville. For more than six decades, communities across Tennessee could simply pass an ordinance to forcibly expand their city limits, whether the people who owned the annexed property liked it or not. In 2014, the state passed a law requiring residents to vote in favor of joining a city before their property can be annexed. 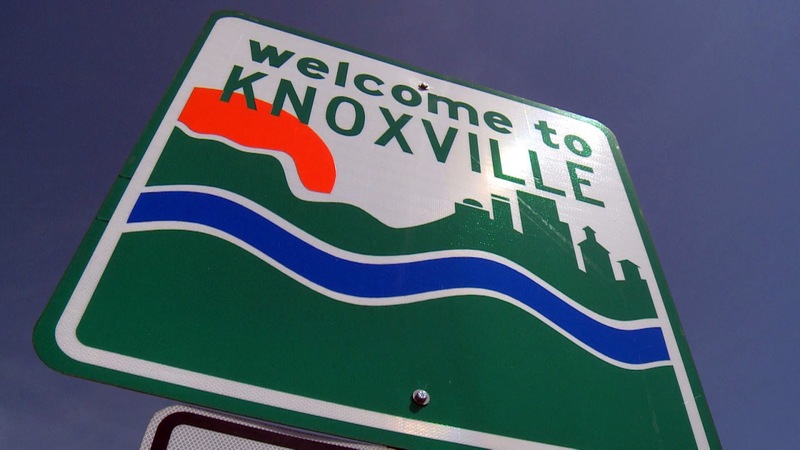 Knoxville voluntarily stopped forcible annexation more than a decade ago when Bill Haslam was mayor. However, the 1990s and early 2000s were a time of rapid expansion under former mayor Victor Ashe. 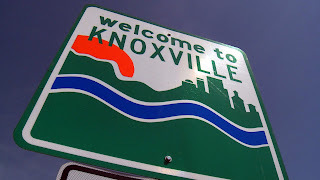 Knoxville grew by 26 square miles during his time as mayor, mostly through what was nicknamed "finger annexation" that extended the city limits in the shape of fingers along the interstates. 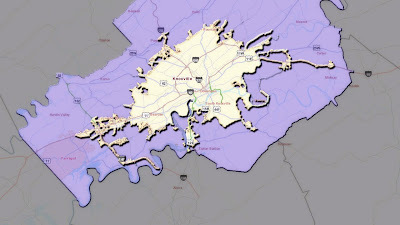 Map of Knoxville city limits. Knoxville mayor Madeline Rogero said she opposes the deannexation bill and believes it goes too far by trying to turn back the clock 18 years. "These are properties that have been part of the city for a couple of decades," said Rogero. "We have not heard an outcry for deannexation, so we're a little puzzled why this is actually making its way through the legislature. 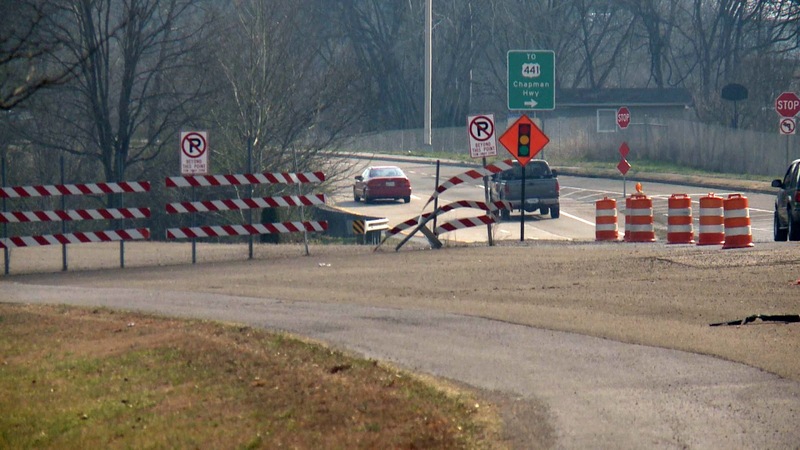 Plus, Knoxville already stopped forcible annexation more than a decade ago." Rogero said deannexation would present a large problem because the city has installed water, sewer, and other services in those neighborhoods. WBIR 10News searched our archives for stories about residents upset with annexation in Knoxville after 1998. One neighborhood was the Mount Pleasant subdivision near Clinton Highway and Schaad Road in the summer of 2000. We contacted the same people in those stories from 2000 and none of them still lived in the annexed neighborhood. We also visited the neighborhood and spoke to several residents, but all of them moved to the subdivision after it was part of the city. The same way many people may have bought property because it was in the county before annexation, today's residents may have purchased the same property specifically because it was inside the city limits. "You have so much turnover, a lot of people may have moved into an area expecting it to be part of the city where they enjoying police protection, fire protection, 311 services, brush pickup, all of those things we provide that you don't get outside of the city," said Rogero. Deannexation means the city would also lose out on some property taxes. Rogero said if every annexed neighborhood left the city, it would add up to around $377,000 in annual property taxes. 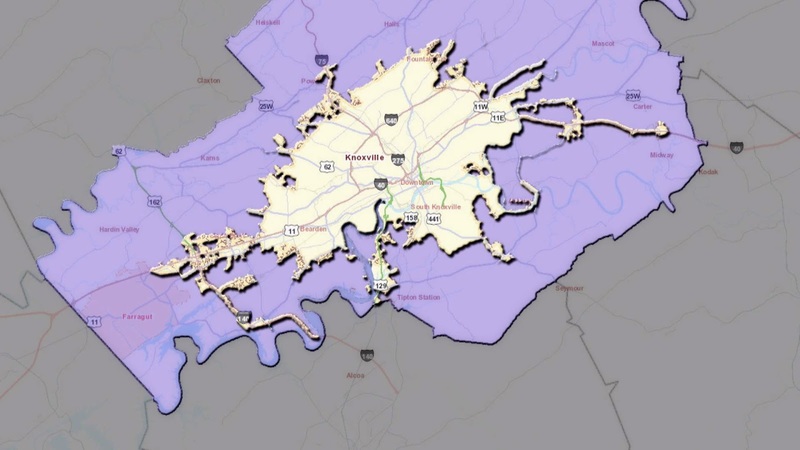 That figure is actually much smaller than you may expect based on how much property Knoxville annexed in the late 1990s. 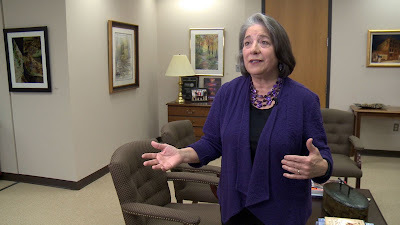 Rogero noted only residential property would be eligible for deannexation and much of Knoxville's annexed property was zoned for commercial use. "We would lose some tax dollars, but it could also potentially cost us more to provide services because there would be a patchwork of houses that are in or out of the city. You have these donut holes and the city would not be contiguous, so it would be an inefficient way to provide services," said Rogero. State lawmakers in favor of the bill say the law would give people an opportunity to make a decision that was made for them. They also point out residents would be able to vote to stay in their respective cities. The bill says a referendum could take place if 10 percent of an area's population petitions for a deannexation vote. Lt. Governor Ron Ramsey, R-Bloungville, announced today that he will not seek re-election to his state Senate seat this November. Ramsey's term as Speaker of the Senate will expire on the second Tuesday in January 2017. There's already talk that he'll make another run at the governor's seat. I seriously doubt it. If he was still interested, he wouldn't bow out now - not with more than three years left. That's a lot of time for people to forget. I think he legitimately wants to spend more time with his family. I have always been known as a straight-shooter who gets right to the point. Today is no exception. I stand before you today to announce that I will not be seeking another four-year term to the State Senate. I have served in the General Assembly for nearly a quarter of a century: four years in the State House and 20 years in the State Senate. 24 years. For the last 10 years, this body has granted me the privilege of serving as Lt. Governor and Speaker of the Senate. It has been a true honor to serve my state in this way. I have said many times, I truly am “living the dream.” I have never meant that phrase as much as I mean it right now. I am living the dream. 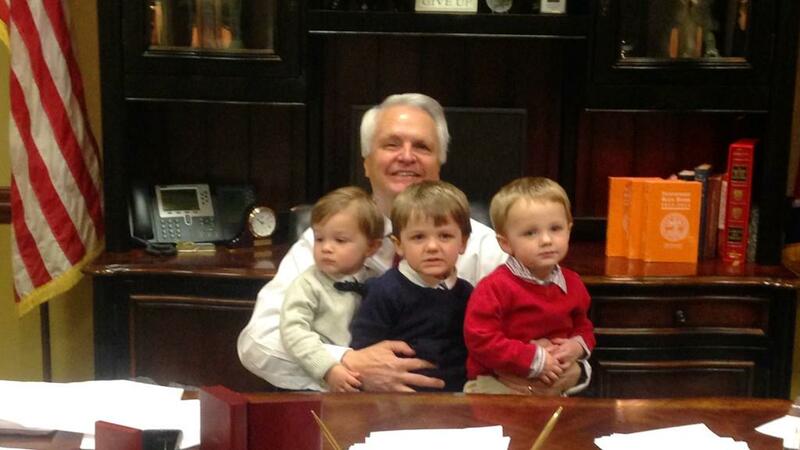 While serving in the legislature, I have tried my best to keep my priorities in order. My first priority has always been my faith. I have never taken my talents and opportunities for granted. I know that all I have God has given me. I have prayed to Him everyday for wisdom and guidance. A close second has always been my family. Sindy is not only my wife but my best friend. She is truly the wind beneath my wings. I have the three best daughters a father could ask for. And now I have three wonderful son-in-laws. My third priority has been my business. And that brings us to priority number four, politics and state government. It has been the honor of my life to serve here. We have accomplished great things together. We have left Tennessee better than we found it. But lately, it seems like life is flying by. When I ran for office four years ago, I had a one-year old grandson. That grandson, Parker, will be starting kindergarten in August. I now have four grandsons. My first granddaughter will be born today. As a matter of fact, I will be leaving immediately following session to celebrate the birth of little Sadie Rhea with my family. After a lot of prayer and many sleepless nights, I have determined that I simply cannot commit to another four years in office. I am ready to take priority number four off the table and commit a lot more time to priority number two, my growing family. This has not been an easy decision. I love the the State Senate. I love being Lt. Governor. And I consider each and every one of you a true friend. I want to thank the people of my district for allowing me to serve the past 24 years. I especially want to thank the members of this body for allowing me to serve as your leader. And may God continue to bless the great State of Tennessee. 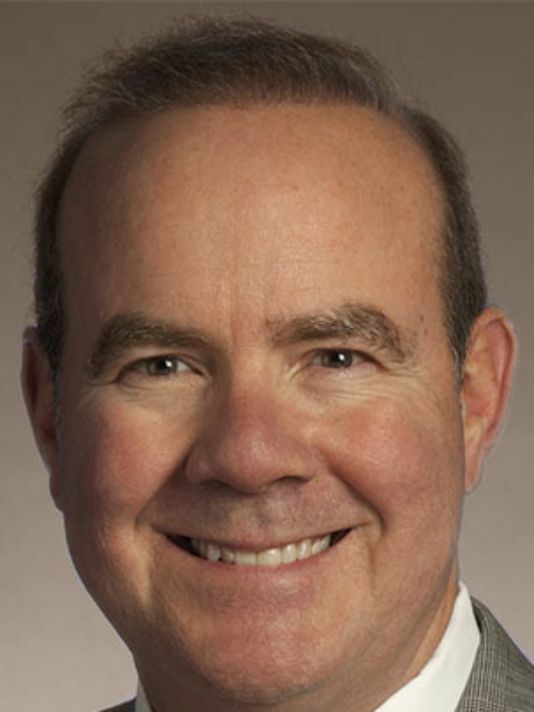 Ramsey is the first GOP Senate Speaker in Tennessee in 140 years and the first from Sullivan County in over 100 years, according to a news release. In the 2008 elections, Ramsey led Tennessee’s Republicans to a gain of three Senate seats and a solid five seat majority. Lt. Governor Ramsey became the longest-serving Republican Senate Speaker in Tennessee history in 2009. A settlement agreement has been reached between Knox County and Louis Flack, the mentally ill former inmate who was at the center of a 2014 jail beating captured on video. The footage showed jailers punching and kicking him after he was cuffed, placed into a hog-tied position, and rendered defenseless. Flack and his attorneys initially sought $5 million after filing a civil rights lawsuit in U.S. District court late last year. On Friday, though, the parties agreed to settle. Attorneys on both sides, though, declined to say for how much. But, Flack’s attorney, Lance Baker, said Flack and his family are happy with the settlement. The county and Baker will still have to reach an agreement on the attorney fees. Flack, 54, was in custody at the Roger D. Wilson Detention Facility on Maloneyville Road in November 2014. Authorities initially arrested him for burglary and aggravated assault, although the charges were later dropped. Knox County Circuit Court Clerk Cathy Shanks' former chief assistant alleges he was fired last year after he tried to report about wrongdoing on her part, a lawsuit states. 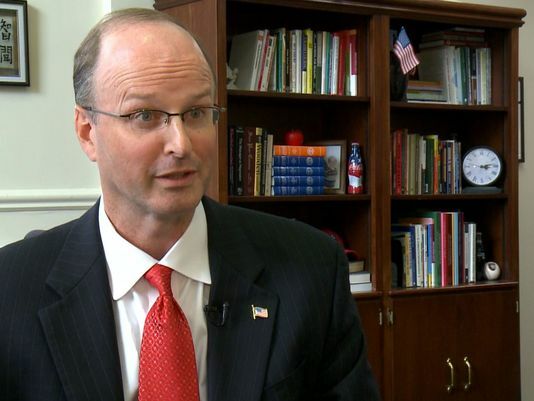 Timothy Wheeler is suing Shanks and Knox County in U.S. District Court in Knoxville. He's seeking unspecified damages. Wheeler alleges Shanks violated his constitutional rights, including that of free speech, as well as his rights under the federal Family and Medical Leave Act. Shanks dismissed Wheeler, 54, in April 2015. He'd worked for her since 2001, most recently as her chief deputy. In March 2015, according to his lawsuit, he underwent hernia surgery, for which he was eligible for leave under the medical leave law. He was supposed to be out four weeks, according to the lawsuit. 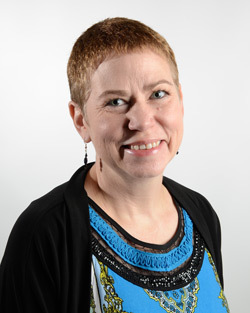 Wheeler took leave from March 25, 2015, to April 15, 2015. On April 16, 2015, when he reported back to work, Shanks told him she was moving him to General Sessions Court, which she also oversees. She wouldn't let him get to his former officer, where his personal belongings were stored, according to the lawsuit. Wheeler then went to Mark Jones, Knox County's human resources manager. He told Jones he thought Shanks was "retaliating against him," the lawsuit states. Also, he told Jones he thought Shanks was doing things that were wrong in the office, including "knowingly continuing to pay full-time wages to a former employee and friend of hers who rarely, if ever, reported to work, ie. a 'ghost employee.' "
Wheeler previously has identified that person in a separate lawsuit in state court as Ray Hill, who still works for the office. As a result of his report to Jones, Wheeler alleges, he was terminated. He alleges he was exercising free speech when he talked with Jones, and he alleges Shanks failed to give him due process in his dismissal. Wheeler's termination notice listed "office reorganization" as the reason he was let go. He earned almost $82,000 annually. Last year, Wheeler filed a lawsuit against Shanks under the false claims act. It alleges that Shanks paid Hill for work he didn't actually do. Hill has declined comment about the action. Records show Hill was hired in September 1998 by Shanks. For years, Hill worked at home because of a long-standing ailment, but subsequently returned to work in the juvenile court department. School leaders will consider seven candidates for the interim Knox County Schools supetintendent gig. The deadline to apply or nominate someone was 4:30 p.m. Monday. The Knox County Board of Education has agreed to pick an interim superintendent to oversee the school system by the first week of April and then have that person in place on July 11 – the Monday after current Superintendent Jim McIntyre officially steps down. Ed Hedgepeth, who now works for the University of Tennessee, and retired from KCS. Chris Caldwell, Knox County finance director. George Hamilton, a Knoxville resident, submitted a letter of interest in the position. The board unanimously agreed to let member Terry Hill oversee the vetting process. Hill will interview the candidates and then submit a recommendation for the board to discuss during an April 4 workshop. Members would then vote on the appointment April 6. After that, the BOE’s chairman, Doug Harris, would have until April 17 to negotiate a contract with the selection. Board members during a meeting last month that they were looking for someone familiar with the school system’s budget, schools and staff. At the time, officials held a number of community meetings to define the next superintendent’s skill set. In the end, the choice came down to three names: McIntyre, Brian Bingelli, an assistant superintendent in Virginia’s Fairfax County Public Schools, and Bob Thomas, now in the running as interim superintendent. So, how did the ol' Porch do when calling Tuesday night's elections? Well, pretty darn great. I got nine out of 11. Not too, too shabby. You can read the original predictions RIGHT SMACK HERE. The county commission races were pretty easy. Michele Carringer is too well known in that 2nd District to lose. Advice: This campaign ain't over. The general election won't be easy. 4th District Incumbent Jeff Ownby's past problem was too much for him to overcome politically (although I do believe he's a good commissioner), and Hugh Nystrom is just too strong of an opponent. The third candidate, Janet Testerman, didn't campaign as hard and didn't campaign right. Her platform was way too general and didn't contain enough substance. Advice: Talk to Jeff. He listens to his constituents. Brad Anders creamed John Ashley. Everyone saw this one coming. Advice: I don't really have any. Laura Kildare over Cheri Siler was an easy one, but I figured Siler - with her name recognition - would pull some votes and she did, despite suspending her campaign several months ago. Advice: Campaign hard in the general election. Carringer isn't a pushover. The countywide races were a little more tricky. Quite frankly - and I was right - I suspected incumbent Law Director Richard "Bud" Armstrong to pull 60 percent over challenger Nathan Rowell. Again, the commercial with county Mayor Tim Burchett supporting "my friend" Bud was a killer. Advice: Rowell says he's going to run in four years. He probably wouldn't be a bad choice, but he needs to lose the slogan that he's a "professional and not a politician." If you run for office you're a politician. Period. I had John Whitehead down for "barely, barely" beating Jim Weaver in the property assessor's race. He did. By 70 votes. That one could have gone either way. Weaver got a little dirty toward the end, bringing in Whitehead's family, but, whatever, it's politics. Credit to Whitehead for hiring Clay Crownover as his political handler. He knows what he's doing. Even though he's a Democrat in Knox County. Heh. Hahaha. Advice: Don't go into the office and fire everyone. There's good people who work there. On the school board side of things, I picked a runoff between Susan Horn and Buddy Pelot with Lori Ann Boudreaux placing third. I got that one right as well. I thought there might be a slim chance that Horn would get 50 percent plus one and win it outright, but Pelot was well-funded, so I figured she'd probably hover around 45 percent. I was right on that. Advice: It's gonna take more than money to win this race. On the presidential side, I picked Trump and Clinton. No-brainers. Advice: Prepare yourself Tennessee. Regardless of who our next president is. Heh. OK, I had Rick Staples over Evelyn Gill in the commission race. Like I said, she looks great on paper but he's out there campaigning. Here's why I think he lost. Rick has run unsuccessfully for office a number of times. That puts a bad taste in some folks' mouths. I think it did him in. Advice: Gill, even though she's a Democrat in a strong Democrat district, is in for a fight in the general election. Michael Covington, a Republican, is a strong candidate. My second bad call was picking Grant Standefer over Jennifer Owen. I'm sorry, but I didn't give her a snowball's chance. This was clearly a pro-superintendent vs anti-superintendent race and the last time that happened in North Knoxville, the heavily funded pro-Jim McIntyre candidate (Tracie Sanger) won. Now, that McIntyre is stepping down as superintendent he was not even a factor. That led me to believe that Grant - with all the coin that the big wigs gave him - was a shoe in. Oops. Advice: Never, never, never underestimate the art of shoe leather and banging on doors. Anyhoo, congrats to the winners. And those who didn't win aren't necessarily bad candidates. I can see many of them coming back for another shot someday. Wow, what an election night! I'll have more on my thoughts later about my predictions and the outcomes later. But here's a look at some numbers. You can find the what county election stud Cliff Rodgers says are the most accurate he was RIGHT SMACK HERE. The results will be officially certified at the election commissioner's March 21 meeting. It appears that about 92,000 Knox County voters out of 218,000 registered voters hit the ballot boxes, so we're looking at roughly a 42 percent voter turnout. Hey, that's not too, too shabby. Cliff says about 25 to 30 percent of the total was early voting, and he's hoping to get a higher number in the August general elections.